Raspberry Pi is by far the most popular name when it comes to single board computers, and the foundation has just announced a new model in the lineup – the Raspberry Pi 3 Model B+. Keeping with its principles of providing affordable computation solutions for all, the device is priced at just $35, and is up for sale on the company’s own website, as well as through various third-party resellers from around the world. 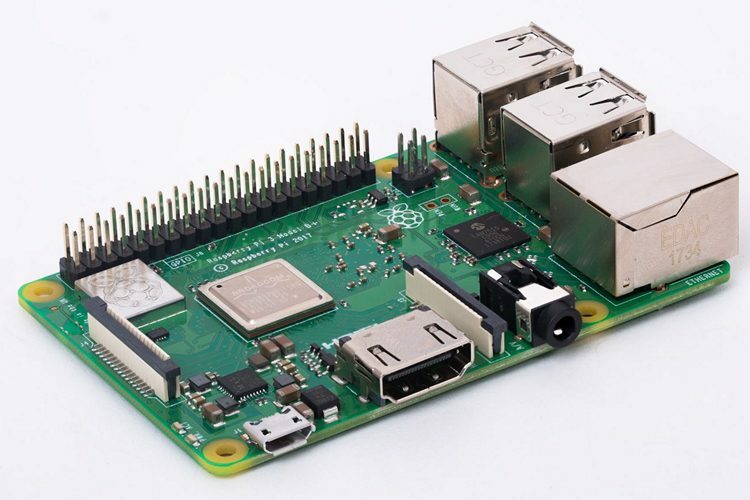 As can be seen from the spec-sheet below, the latest model in the Raspberry Pi lineup is powered by a Broadcom BCM2837B0 processor that comes with a 64-bit Cortex-A53 chip clocked at a frequency of 1.4GHz. The device also has 1GB LPDDR2 SDRAM, and offers dual-band 802.11ac wireless LAN and Bluetooth 4.2 connections, not to mention Gigabit Ethernet over USB 2.0. There’s also Power-over-Ethernet support (with separate PoE HAT) and improved PXE network and USB mass-storage booting. The Raspberry Pi Foundation is also claiming improved thermal management, which is certainly good news. In case you didn’t know it already, Raspberry Pi is an open-source single-board computer that can run a wide variety of Linux kernel-based operating systems including, but not limited to, Ubuntu, Debian, Fedora, Raspbian, ArchLinux, SUSE, OpenWrt, etc. You can use it to create a wide variety of gadgets, including computers, web servers, CCTV cameras, weather radars, media players, etc. While the Raspberry Pi was, and continues to remain, the pioneer in the world of single-board computers, it is, by no means, your only option any more. Many alternatives, such as the Orange Pi, Banana Pi, Odroid, NanoPC, the Asus Tinker Board, the Huawei HiKey, and others, have sprung up over the years, although the Raspberry Pi continues to remain a perennial favorite for DIY tinkerers from around the world.